The festive season is full on in town. But the traditional celebrations would not be complete if you don’t hear, watch or read the story par excellence of the merriest time of the year: A Christmas Carol. Due to the popularity of Charles Dickens’s tale and to the many performances inspired by it over the decades, the challenge sets high for the artists to take a every time a different creative approach. GreenMatthews embraced the task and delivered a delightful show on their first tour stop in London, at the Other Palace. 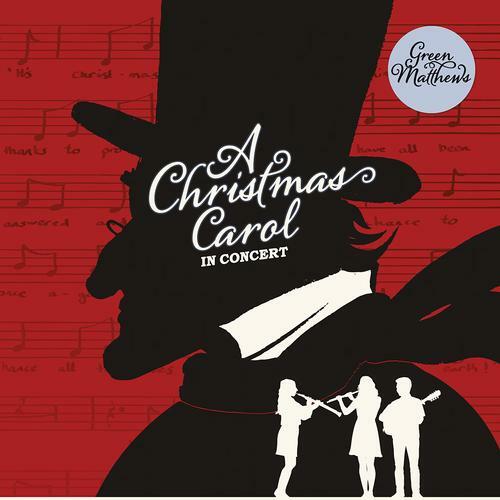 A Christmas Carol in concert blends joyful modern tunes with traditional melodies, combining all with original lyrics inspired by the text, at times humorous at times more reflective. Divided in two, the first part of the show gives a flavour to how the carols might have sounded like around Dickens’s era. Starting off with While Shepherds Watched Their Flocks by Night, the trio on stage enchantingly evoked the atmosphere already by the choice of the instruments. Talking about challenges, indeed, Sophie Matthews mastered a baroque musette while Jude Rees (who joins the group for this special winter tour) picked a baroque oboe, both rightfully apt for the late 18th century tone of the music. The act went on with other Victorian versions of classics and less known carols, like The Holly & The Ivy and a song inspired by A Christmas Carol from yesteryear. With the performance taking place in the Studio at The Other Palace, the overall atmosphere resulted quite relaxed. The lounge ambience allowed to perfectly enjoy the carols in a comfortable setting. The second part of the show consisted in the re-enacting of the hard-of-heart Ebenezer Scrooge’s conversion. Playing with the rhymes and old and fresh arrangements, Chris Green has composed a lively retelling of the story. Featuring piano, mandocello, bagpipes, melodeon, flute, and fine vocals, the songs vividly and smoothly brought to life the misery and the merry transformation on that legendary Christmas day from Victorian times. Whether already familiar with the mercy and the ghosts or new to Dickens’s pages, this adaptation will easily have the audience relishing the wits and the more thoughtful sets of the story.